Want to Sell Your Old, Used or Damaged Truck? Sell It to Cash for Cars Adelaide and Get Up To $9,999! 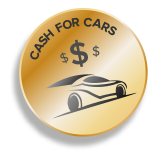 Contact Cash 4 Cars Adelaide for a quote for your truck of any make and condition. are exceptional, making it very easy for you to complete the sale and get the cash in hand. after cash for car companies in Adelaide. Cash For Cars of Adelaide. wrecker or recycler in Adelaide for your vehicle’s disposal. in your hand today for the sale of your truck. truck buyer with just a call!